Spain’s fantastic weather, relaxed way of life and proximity to the UK and other European countries has meant that Spain has always been a popular destination for foreigners. Many foreigners therefore have assets in Spain such as a holiday property, permanent home, a business or other assets in Spain. There are therefore may reasons why you may need a lawyer in Spain – for example purchasing a property or business in Spain or dealing with the inheritance of a Spanish estate. If you need to instruct a lawyer in Spain it can be hard to decide who to choose. Spanish lawyers have not alway has the best reputation for their reliability and efficiency. Without a suitable recommendation for a Spanish lawyer it is difficult to know where to start to make sure you find a reputable Spanish Lawyer who is right for you and your matter and who will provide good value. Fortunately, Worldwide Lawyers can help! We have provided some guidance below to help point you in the right direction about who to choose when instructing a lawyer in Spain. You can of course also just contact us for details of a recommended Spanish lawyer too! Worldwide Lawyers can put you in touch with a recommended English-speaking Spanish lawyer who will provide a non-obligation quote. Contact us on 01244 470 339 or email us at info@worldwidelawyers.co.uk. Registered: You should check that your Spanish lawyer is registered with one of the colegio de abogados (Spanish bar associations). Bar associations in Spain are divided into different areas you will need to find out which of the bar association your lawyer is registered with so you can check this. Ask for a lawyers registration number and check it out before you proceed to instruct them. Insured: You should check that your lawyer in Spain has professional indemnity insurance to cover the advice that they provide to you. You should also check that the insurance covers the value and type of transaction they are dealing with for you. Experienced: You will also need to ensure that the lawyer in Spain has experience and expertise in the area of Spanish law for which you require advice. For example it may not be a great idea to have a property lawyer deal with your business deals and vice versa unless they have sufficient experience. English-speaking: Your Spanish lawyer should be fluent in English (unless you are fluent in Spanish) so that you will be able to understand the advice being provided. Recommended: Are you able to find anyone who has used the lawyer before and can recommend their services? Worldwide Lawyers obtain feedback from other people who have previously instructed Spanish lawyers to get their feedback and recommendations. Independent: It is extremely important to make sure that your Spanish lawyer is not in any way connected to the estate agent or property developer (if dealing with a property transaction) or the other side. So steer clear from recommendations from estate agents, developers, sellers or the party on the other side of your transaction! 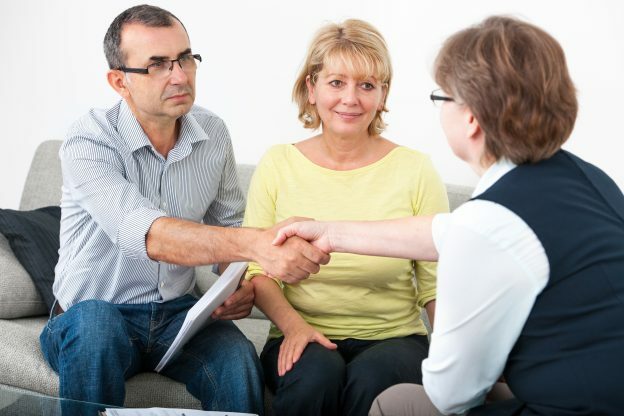 If you need advice in relation to Spanish law, whether in relation to a property purchase/sale, Spanish inheritance law, a family law or Spanish business transaction, Worldwide Lawyers can put you in touch with an independent recommended English-speaking Spanish lawyer who complies with all of the above. We can put you in touch with a lawyer located in most areas of Spain including Alicante, Barcelona, Denia, Fuerteventura, Galicia, Ibiza, La Zenia, Lanzarote, Madrid, Malaga, Mallorca, Marbella, Murcia, Torreveija, Tenerife, Valencia, Villamartin… and many many more! If you prefer to deal with a Spanish lawyer based in the UK we can put you in touch with UK based Spanish lawyer to assist you. If you need a Spanish lawyer contact us today on 01244 470 339 or email info@worldwidelawyers.co.uk. Our friendly and experienced team will be able to discuss your requirements with you and, if required, put you in touch with a suitable law firm in Spain to provide you with a no-obligation quote for their services.